Can you believe its already August and school starts in just a few weeks (I know some have already started!). The summer goes by way to quickly. To celebrate the last few days of summer I've rounded up some pretty fun holidays to celebrate with your kids this month. 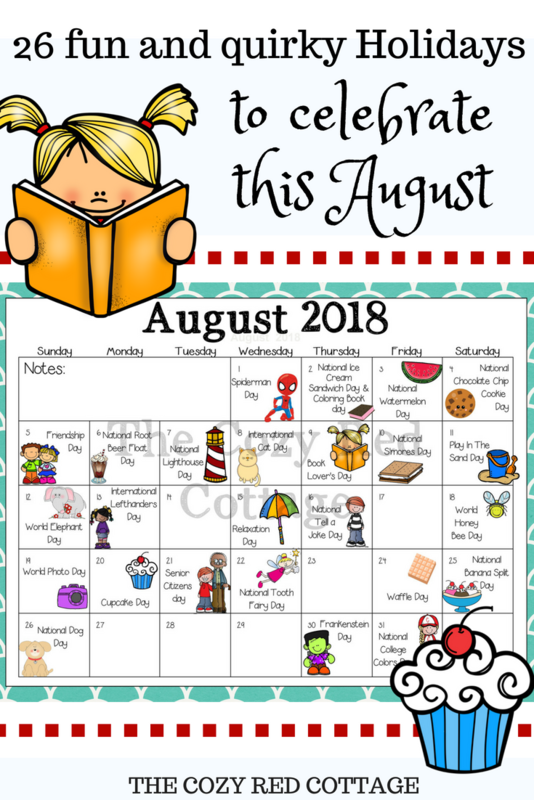 We've been using these calendars all year and my kids still think they are so fun! We pick a few and for the most part keep it pretty simple. You do not need to celebrate all of them (we don't) just pick and choose what works for you and your family. 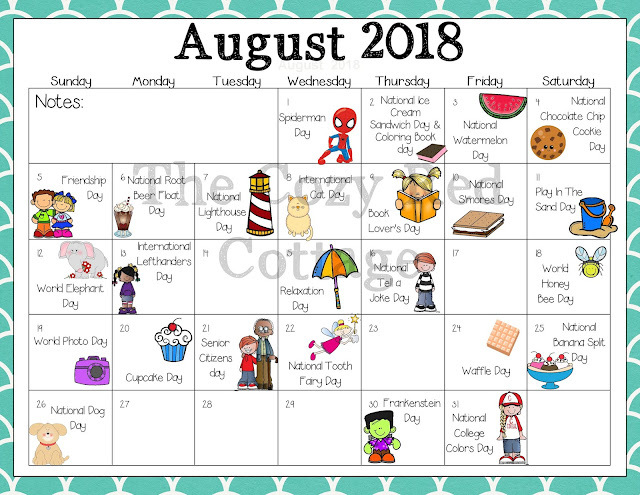 Download a copy of the calendar, print, display, and have fun. I'll be posting ideas as I finalize my plans and also as we celebrate some of these holidays. My hope is that this will be something fun for your family and a way to create some special memories. I'd love to hear your ideas and see pictures of your celebrations!